With Gil Rosas and Otto Berger, Virginia Vercammen and her husband, Paul, opened a Montecito restaurant that sparkled with conversation, music, laughter, and a dress code. Virginia Vercammen greeted every customer who walked into the restaurant she owned with her husband, Paul, with a sticky-sweet “good evening” in her Belgian accent. Their Olive Mill Bistro was the scene of spectacular New Year’s Eve parties, spirited Fiesta celebrations, and intimate Valentine’s Day dinners over the many years it was open. The hostess from the Olive Mill Bistro and our eternally loving mother passed away in her sleep on Wednesday, January 15, in Solvang. She was born Virginia Alfonsina Broux on February 17, 1925, in Zonhoven, Belgium. During her childhood in rural Belgium, Virginia lived under a thatched roof with a raucous group of 14 siblings, the third born to Cristina Fraiponts and Hubert Broux. Virginia also had five half brothers and sisters from Hubert’s previous marriage. Her life ranged from hard farm chores to watching out for the “younger kids,” numerous silly adventures with her siblings, and playing soccer with the boys. Virginia endured the World War II Nazi occupation of Belgium and recounted hard times to her children, including the constant search for food. “We used to put a nail through the end of a stick, and we stabbed [river] eels with it,” she recalled. Virginia kept a sunny disposition and found love, Paul Vercammen from nearby Winterslag; they married in 1948. The dynamic couple began having children and following their other passion, opening up an inviting establishment where townspeople could enjoy great food, refreshments, laughs, and hear music. Their Café Normandie in Belgium became a popular meeting place and a harbinger of things to come. A war-bride aunt who had married an American soldier from California inspired Virginia and Paul to immigrate to the United States. At one point, Virginia began working at the Coral Casino at the coat-check stand while Paul worked as a busboy and in the laundry room at the Biltmore Hotel. Virginia was model-pretty, conscientious about her diet and exercise. She began a routine of walking for several miles along Butterfly Beach, and only into her late eighties did the long journeys on foot begin to decline. The Belgian couple eventually moved to the Somerset Restaurant in the 1960s, where they made astounding leaps, Paul to manager and Virginia to hostess. When new buyers assumed control of the Somerset, Virginia and Paul were let go. They moved to Solvang when Paul began to work nearby at the Alisal Ranch. In 1968, against the advice of doubters who said they were destined for failure, Virginia and Paul and two dear, talented friends worked on a plan for a restaurant and bar. The Vercammens, acclaimed pianist Gil Rosas, and esteemed waiter Otto Berger soon opened the Olive Mill Bistro on Coast Village Road. The restaurant and bar developed into a lively, sparkling community gathering spot of good food and drink, engaging conversation, and live music. Virginia and Paul welcomed anyone and everyone through their restaurant doors, often regaling guests with tales of Belgium and hilarious pranks. They did lay down the law on attire, famously declaring no sandals or tank tops were allowed inside. While a beaming Virginia, wearing high heels, a fashionable dress, and shimmering jewelry, encouraged all of her guests to live it up, any crass behavior would earn an immediate ejection from the Bistro. Virginia was a devout parishioner at Our Lady of Mt. Carmel. At the Bistro, she became a sounding board, a mother, and a brief dispenser of levity for thousands of customers. 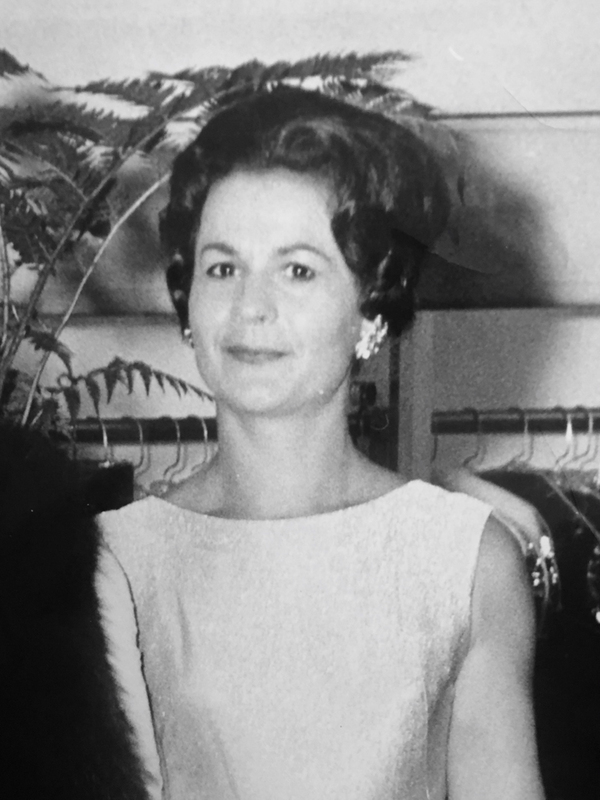 While the restaurant flourished, Virginia spent her most cherished moments at home with her extended family of children and sisters who had moved to the United States. She doted on and helped raise her grandchildren. A favorite occupation for Virginia was to make food for her family, especially chocolate mousse from scratch. She loved seeing smeared brown mousse ringing the lips of her grandchildren. 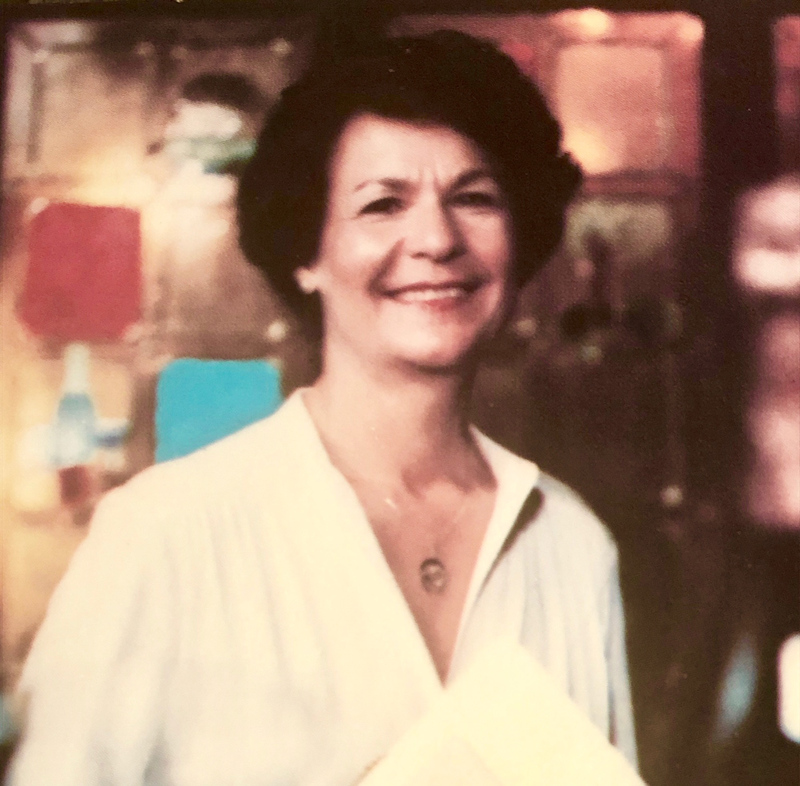 Virginia and Paul would eventually sell the Bistro in the early 1980s, but the restaurant’s legacy lives on in the many couples who started their relationships at the Bistro or strengthened their love affairs, conceiving generations of Bistro children. Philippe Sautot, now a famous caterer to the stars, met his wife at the Bistro. Virginia and Paul also spearheaded the opening of Los Olivos Grand Hotel and worked at other restaurants. Paul passed away of complications from oral cancer in 2002. Virginia mourned her loss but continued to live life with passion, still taking those epic walks through the Santa Ynez Valley. Virginia never spent a single night in a nursing home or hospital, and she seemed to plan her passing, in her sleep, in her bed, in utter tranquility. A couple of weeks before her death, she got off one of her classic one-liners after looking at a picture of some of her offspring in front a large Rembrandt painting. “Aach, Rembrandt. Well I knew Rembrandt,” she laughed. Virginia is survived by her children Eleanor, Juliette, Paul, and John and his wife, Carol; by her grandchildren, Michael, Eric, Jacqueline, Kristin, Veronica, Jared, Cole, and Brooke; by her great-grandchildren, Katrina, Payton, Michael Jr., Drew, and Harley; and her sisters Sidonie, Marriette, and Angela.